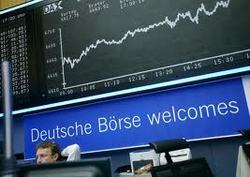 Deutsche Börse Group facilitates the trade of shares and other financial securities, as well as providing transaction services. Headquatered in Frankfurt it provides companies and investors the ability to trade on capital markets worldwide. There are over 760 companies listed and employs over 3300 people across Europe, Asia and the US. The Deutsche Boerse dividend has been maintained steadily over the past several years and is projected to be further increased in coming years. This week we are going to use DividendMax to look at an Index. The German dividend season is fast approaching so we are going to look at the DAX 30 index. German companies only pay once a year so the opportunity to pick up a couple of annual dividends over say a 14 month timescale may prove interesting. The whole of the DAX goes ex-dividend in April and May and they have all declared.